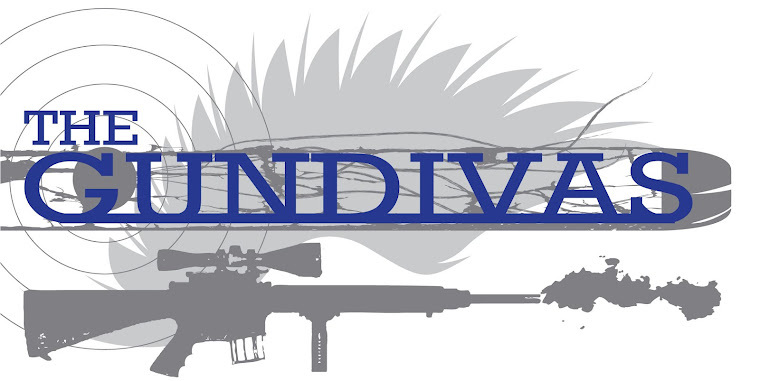 The GunDivas: Ready for a Giveaway? 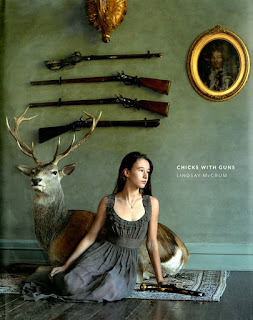 There are 15 million women like us - Chicks with Guns - in the United States. Photographer Lindsay McCrum recently released a book that brings female gun ownership to light through her artistic lens. She has highlighted nearly eighty women in her book, each describing the roles guns play in their lives. We want to know...what roles do your guns play in your life? We will be giving away a copy of Chicks with Guns. The contest will be open until Friday, October 21 at midnight MST. A winner will be chosen via Random Name Picker after the contest ends. One entry per comment. Ahhh pick me!! I 'like' you on facebook! Guns... Living on a ranch they provide a huge element of protection! Not just from the "bad guys" but from coyotes, mt lions, rattlesnakes, rabid skunks, you name it. When I'm staying up late on an NCIS marathon, I have my gun on the nightstand and a ear listening for barking dogs. I "like" you on Facebook too! And I even like you for deals! Well, I've got the Facebook thing down. I rarely shoot and I don't know many GunDivas, but I'd love to be in on the drawing - it looks like a beautiful book!